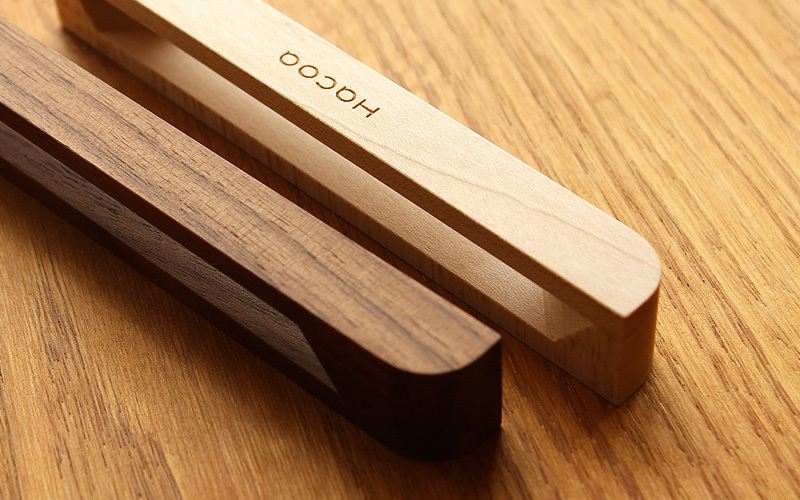 This wooden holder keeps memo papers vertically on the wall. 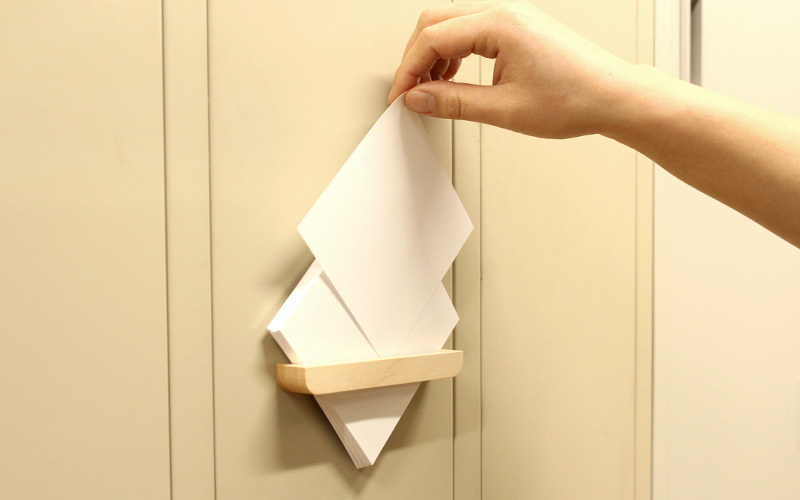 Built-in magnet allows it to stick to your metal message board along with pens. Slight tilts inside let piled papers slide out on top of each other. 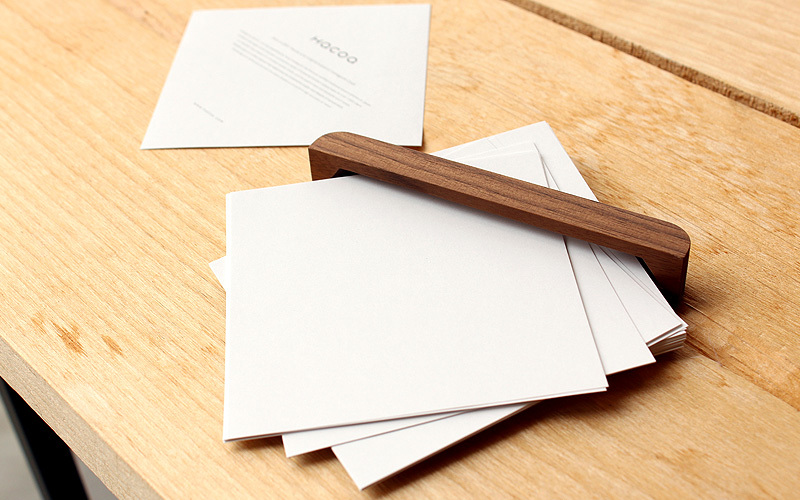 By making the front page easy to take out, it helps you leave quick memo smoothly.